It doesn't matter whether you're young, or young at heart, nor does it matter whether you are a business-woman, a professional or neither, because every woman has something to contribute or to enjoy. 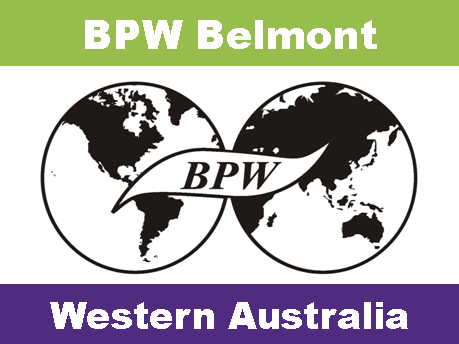 BPW Belmont is a small but highly effective club, with a focus on empowering women and youth, both at a local and a global level. The club is a relaxed and open environment with an emphasis on sharing and collaboration. BPW Belmont enjoys strong relationships with a network of local organisations which also seek to foster a stronger and happier community, women's empowerment and a better future for the world. Supporting each other in personal growth and in times of need. We provide a forum where women can enrich their knowledge and understanding in the civic, economic and political arenas, offering interesting and informed speakers and an environment of mentoring and sharing. Develop your potential and be your best you! Monthly networking and dinner meetings are held to enable networking, fellowship and skills development with a range of interesting guest speakers. Inspiration, education and motivation available! Supporting others by helping women everywhere to gain economic independence and equality. In turn, they will enrich their communities. 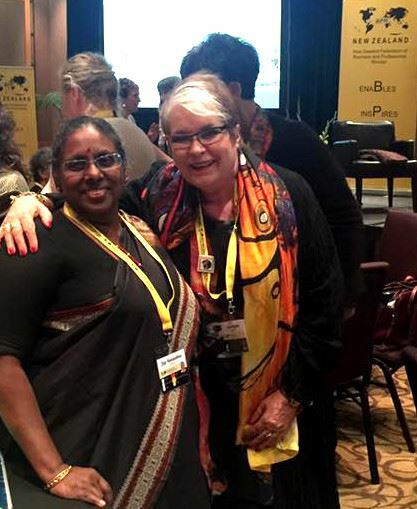 We assist our sister clubs around the world and work with BPW Australia and BPW International to bring better education and training, and to promote economic empowerment and recognition of human rights. In collaboration with BPW Western Australia, we hold an annual International Women's Day event when women from diverse backgrounds or those belonging to the local community gather. This event is always eagerly anticipated and enjoyed by all. Other annual events include the collection of canned goods for Christmas food hampers distributed to needy families through the Jacaranda Community Centre, as well as Primary School Scholarships to assist female students graduating from primary to secondary education. You'll always find a welcome at BPW Belmont, where we believe that it's important to be yourself. Confidence in yourself is important, too and BPW Belmont offers a supportive environment , information and activities to help you be your best self. Share in networking and events and hear engaging speakers on varied, relevent and inspiring topics. Most of us lead busy lives, whether with work, study, family and various activities, yet confident women still have much to offer. So our club strives to empower girls, women and their communities through our own branch programs and local collaboration and through the wider BPW national and international network. We plan to have some new features, opportunities, projects and member benefits coming up, too – so watch these pages! Become a BPW Belmont member and enjoy the company of women of all ages and the benefits of BPW, or join us as a guest at our events. Our monthly meetings include inspiring speakers, workshops and dinner networking with some wonderful women. Some of our past events include these. ‘Assertive Communication Skills For Women’ Violet Dhu Violet has over 20years experience working with organisations and teams to develop effective and confident communication skills by teaching leaders to embrace those difficult conversations. As an experienced full time trainer, speaker, coach and graduate of the Harvard University Negotiation Institute Violet’s key message is to be honest and respectful in your communication and people will trust you, listen to you and work effectively with you. Moira Kelly - International Humanitarian and Global Peace Maker Moira inspired us with her amazing life, adventures and many 'ups and downs' of her extraordinary calling to help children, families and communities in need. Totally unforgettable and mesmerizing. In a world crying out for meaning and inspiration, Moira's raw passion and soul stirring mission was riveting. BPW International Luncheon with Keynote Speaker, Jeya Ramanathan speaking on her attendance at the United Nations Commission on the Status of Women in New York. This major global event is intrumental in promoting women's rights, documenting the reality of women's lives throughout the world and sharing global standards on gender equality and the empowerment of women. BPW Belmont also celebrated the 10 year anniversary of the club Charter under BPW Australia. Business Woman of the Year Award 2016 Sponsors: Business & Professional Women of Western Australia & BPW Business Incubator ONLINE Training & Mentoring Program Presented By: Kate Waters, President BPW WA Winner: Nita Sams Classic Bookbinders has grown to be WA's leading book binding coompany, winning numerous industry awards for their high quality in design and craftsmanship. In a formerly male dominated industry, Nita has been President of the WA Printing Industry Assoc and also a Board member of the National Council.